ESET's security solutions are suitable for industries with very limited internet access (e.g. via GPRS, satellite, radio) as well as those with strict update policies. In such environments it is still important to keep security updates, and detection engine with newest algorithms up-to-date, while balancing the cost and availability of an internet connection. 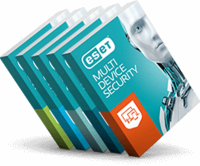 Our ESET Micro Updates are small and can also be distributed via e-mail. This means that more traffic resources can be devoted to other system needs or communications. ESET Micro Updates are very small update files of 250 to 500 kilobytes per week. If for any reason you miss two consecutive updates, thus making a standard weekly update impossible, you can still download a differential update after 4 weeks (comprising around 1 to 2 megabytes). After that you may resume downloading standard weekly updates as usual. Once a week, ESET generates a special differential update which contains all the essential changes from the previous week. The update format is compatible with all Version 3 and later ESET products. The update process is then straightforward – simply unpack the contents of the archive to a mirror directory and update all client computers from that mirror. If you are interested in ESET Micro Updates, please fill in the form below.